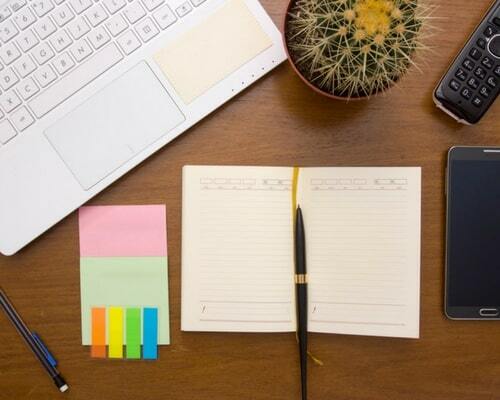 If you’re anything like me, you launched your business with the idea that you would be able to spend more time with your family, but as time goes on and your business grows the more administrative tasks that end up on your plate. Now you have less time to focus on what’s really important – your loved ones and making money. When this happens you know it’s time to hire some outside help. 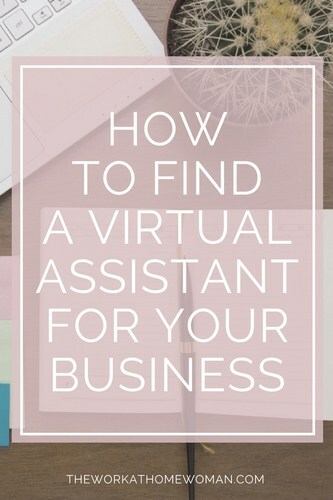 Virtual Assistants are highly skilled, home-based professionals that offer businesses and individual’s administrative, technical and social support. Virtual Assistants can complete tasks such as sending out correspondence, appointment setting, phone calls, internet research, data entry, maintaining websites, and much more. However before you decide to trust your business in someone else’s hands, there are some essential details and information that you’ll want to take into consideration before you hire someone. Here are some tips for finding and hiring a Virtual Assistant for your home-based business. Start your search by asking friends, family, and colleagues if they personally know of any Virtual Assistants that they would recommend. Twitter, Facebook, and LinkedIn are other excellent sources to check out. I was able to find one of my Virtual Assistants through a recommendation of one of my business group members. Another one I found through a friend's recommendation and another was a reader of The Work at Home Woman. Even if you’ve found some great candidates through personal referrals, I still recommend placing an ad on Craigslist. It’s free, and the response you’ll get is huge. Having a bigger pool of qualified applicants ensures that you’ll find someone who is the perfect fit for your specific needs. Over the years, I've placed a couple of ads on Craigslist and I was able to score a great Web Programmer and Virtual Assistant off of Craigslist. Sites like Fiverr, Upwork, and Fancy Hands are inexpensive micro-task websites where you can search for Virtual Assistants for hire. With Fiverr and Upwork you're searching a worldwide workforce, and with Fancy Hands, you're dealing with U.S. based workers. When using these sites you may have to weed through a lot of unqualified applicants, but you'll be able to outsource on a budget. If you have a bigger budget and time is of the essence, I would suggest paying the $47 fee for the Virtual Assistant Finder. To get started, pay the fee, list your requirements, and VA Finder will post your job to their highly qualified and trained pool of applicants. Qualified applicants will pitch you directly and you can interview and make a decision from there. Now that you have your list of potential candidates start checking out their credentials. Here are just a few of the areas you should pay attention to. Look at their website – it will tell you a lot about them – What services do they offer? How much do they charge? What are their skills and credentials? How long have they been in business? Does their website look professional? Ask for professional documentation – A resume, letter of interest, references, and letters of recommendations. You can also look at their LinkedIn profile to see if they have any recommendations or referrals. Ask them to complete a series of steps – Have potential candidates fill out a questionnaire or complete a series of steps to see how well they follow instructions. By making a potential hire complete numerous steps, you can easily weed out the incompetent and careless applicants. Get in touch with their references and ask pertinent questions. This is also the time to ask your final round of questions to make sure that they're a good fit. How professional are they? What does their appearance look like? Are they well spoken? If your Virtual Assistant is going to have any contact with your clients, these will be very important in making your selection, because they will be portraying your businesses image. Do they ask questions? Do they seem knowledgeable? Do they listen well? These aspects will be important in creating a good synergy between you, but they also show positive traits like critical thinking skills, taking pride in what they do and intelligence. Do they seem trustworthy? Any time you trust confidential information to someone you’ll want to ensure their integrity, this can be done by following up with references, doing a background check and sometimes just by following your gut instinct. Is there a connection? How does the conversation flow? Is it easy and relaxed or is it forced and awkward? Since you’ll be working together, it’s best to ensure that there is a natural connection there. You think you’ve found your perfect candidate, but before you hire them full-time, give it a 30 – 90 day trial period to make sure it’s everything each party had in mind. If either party decides it’s not the right fit they can terminate the agreement with no hassle. By taking your time and doing your research, you'll be able to hire a Virtual Assistant who you trust and can rely on, and then you can get back to the important tasks of making money and spending more time with your family. Have you started using a Virtual Assistant? What tips do you have for hiring virtual help? Originally published January 7, 2011. Content updated January 30, 2018. Hi Holly – have you heard of ‘expat-shoring’? You can employ American or British expats living abroad in countries like Mexico or Africa for 50% less than if they were living in their home countries. (Due to the lower cost of living in those places.) Half-priced, yet highly-skilled expat employees are a pretty attractive option for virtual assistants! Hi Nicola, No, I did not know that. Thanks for the tip! They can fill out their info online re: what they are looking for in a VA (specific tasks they’d like assistance with, skills they are wanting their VA to have, computer type, time zone, etc) and only VAs who match their requests will respond, and then they can interview the ones they are interested in possibly working with. AssistU is also a great place for anyone interested in becoming a Virtual Assistant! Hi Kelly, I’m glad you enjoyed the article! And thanks for sharing such a great resource. I’ve heard of AssistU before, but I didn’t know you could search for VA’s on there. Have a great weekend!